I plug in my curling iron, ready to turn my hair into a lightly curled mess. Tony is having this party tonight to celebrate us finding the scepter and to send Thor back to Asgard again. He has just come back to get the scepter. He was here a few months ago with a situation in London, but returned to Asgard shortly after it took place. A scratch on my cheek catches my eye and I quickly cover it up with some concealer. Three days ago, we destroyed one of the most prominent HYDRA bases still left. The base is where we found the scepter (finally), it only took us three months of constant destruction. 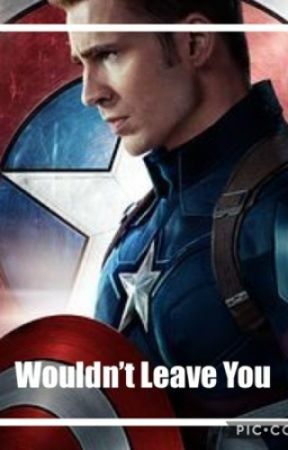 Barton actually got injured pretty seriously, but Helen Cho, a bio-engineer out of Seoul, South Korea who also just so happens to be friends with Bruce, came and built CLint some new skin. We also ran into two advanced humans that Maria later described as "fast and weird". I hope we don&apos;t have any trouble with them. Tony and Bruce have also been spending a lot of time in the lab. For the past three days they have basically been locked in there working on a project. It was spurred off of an older idea called Ultron. Tony has spoken to me about it many times before and each time I warned against restarting it. The only capable and conscious hands are our own. Bruce has been asking me random questions about weapons recently too, which is kinda suspicious I guess, but I don&apos;t think Bruce would let anything as major as a bio-nuclear neurological weapon get out of hand. My phone starts to buzz. I wipe the concealer off of my finger and pick up the phone. I smile when I see the caller I.D. and answer the phone. "Hey babe, you almost done shopping? The party is going to start in an hour." I say through the receiver. "Yeah, I just need to pick up one more thing." He says. I can hear the smirk in his voice. I smile and shake my head. "Alright but if you are late, Tony will have your head." I say chuckling into the phone. "Ah, he won&apos;t care that much. It is Tony we are talking about after all. Plus it is something I&apos;m picking up for you. So you can&apos;t be too mad at me." he says. "Alright, I give. I&apos;ll see you in a little bit," I say biting my lip. "I love you." "I love you too. I&apos;ll be home faster than you can say ... um.... Babe I need a good word." he says. "How about bio-nuclear astrophysics?" I say. "Alright, see you." he says and hangs up the phone. I put my phone back in its place on the vanity and I continue my makeup. Once I finish my very natural makeup, I start to curl my hair when I hear the elevator open. I smile, jump up, and run out of my room to greet him at the door. He steps out of the elevator and I jump into his arms, causing him to drop all of the bags. I give him a quick kiss on the lips. "Welcome home!" I say, still in his strong arms. He places me back on the floor, not breaking the hug. "I really like this welcome." he says, finally breaking the hug to pick up all the bags that were scattered. He places them all on the counter and successfully finds the smallest bag out of all of them. He pulls it out of the heap. "Turn around, I have a surprise for you." he says smiling. I turn around and close my eyes. He brushes my hair all to one side and places a cool chain around my neck. "Open your eyes." he says. I open my eyes to see a necklace with a small wing on it. "It is from my old uniform. 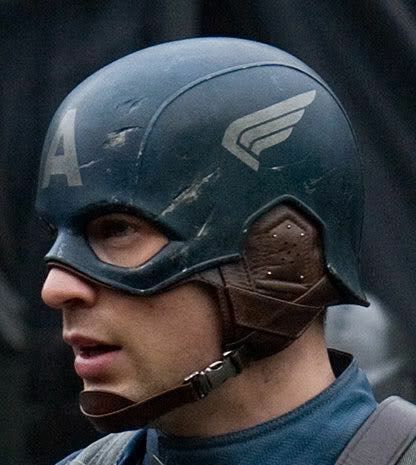 Like the one I had on my helmet during the war." he says. I turn towards him with my mouth open in shock. I quickly throw my arms around him. "I love it so much." I say. "Well I know that you don&apos;t like jewelry and I thought this would be a little less flashy than a shield." he says with a smile. "Thank you Steve, I love it almost as much as I love you." I say. "Well then, you must love it a lot." he says with a chuckle. I smile and kiss him on the lips. Once we break away, I go to finish getting dressed for the party. My hair is already done and so is my makeup. I go to my closet to pick out a dress. I slip on my skin tight, knee length, black dress with a lace see-through upper chest and sleeves. I put on my black heels and walk out my bedroom door. Yes, Steve and I are dating. We have been for eight months now. After that night on the balcony, we were inseparable. He gave up missions to help me get better and follow through with my therapy. 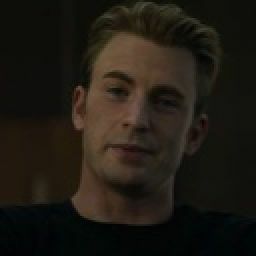 He helped me come to terms with being a super-soldier as well as helping me cope with my powers. I can actually fully control them now, and Bruce doesn&apos;t think I will gain anymore power. My electricity is actually really cool and Steve says when I get mad, you can see it crackle in my eyes. But since Steve and I are both superhumans, we were put on the same floor and it already came with two rooms. We are basically moved in together and we have been since the start of the relationship. I just use my room to get ready. Steve emerges from his room in a tight blue shirt and dress pants with the cuffs rolled up to his forearms. I look over and give a low whistle. He smiles and does a little spin sarcastically. I laugh as he brings me into a hug. "You look fantastic." he says. "You don&apos;t look so bad yourself." I say. "I&apos;m so unbelievably lucky to be able to call you mine." he says. I smile and kiss him on the cheek. "I love you." I say. "If we don&apos;t get going then we&apos;ll be late to the party." I say. I grab his hand and call the elevator.